The Lark Romanian - Trad. Oro Se Do Beatha Baille - Trad. She Moved Through The Fair - Trad. The Sailors Hornpipe - Trad. The Parting Glass - Trad. Now is the Month of Maying - Trad. Great for all ages - from very young to young at heart! 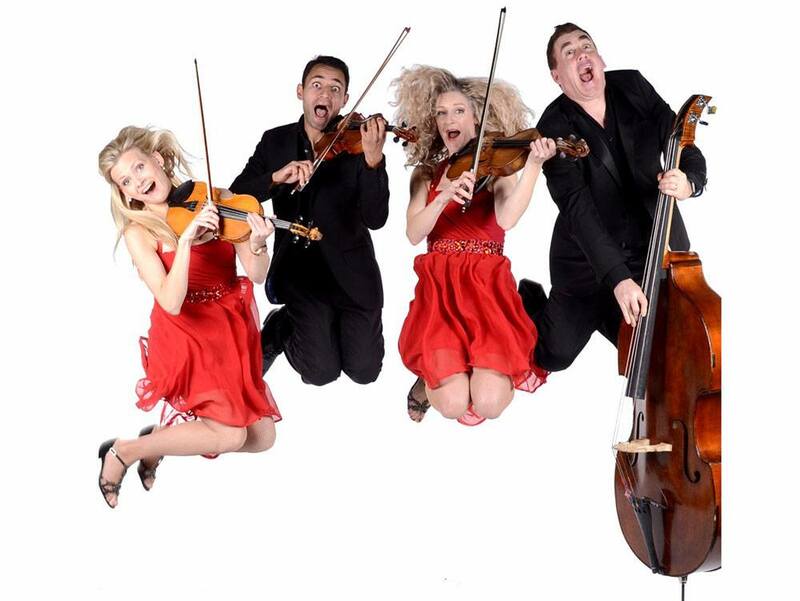 Please note: The Comedy String Quartet is now an international show, utilising over 30 fully trained musicians in three different countries. Carl, the founding member and band leader plays double bass in 99% of UK shows - but all other members may differ from those shown in promotional materials, depending on availability. All members of the act are fully trained and experienced and line up variations have no detriment to the quality of the show at all. *Great for all ages - from very young to young at heart! If you are looking for jaw-dropping, mouth-watering, belly-aching and side-splitting entertainment then look no further. 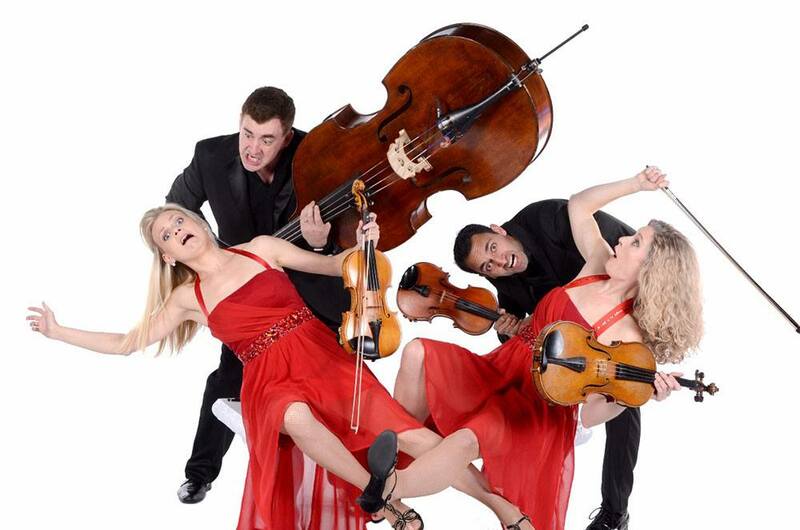 Comedy String Quartet provides an exciting and unique alternative to the String Quartet, offering an all-singing, all-dancing, comedy cabaret act. They have moved the classical string quartet into the 21st Century. The combination of classical, jazz, opera and folk and acoustic music together with energetic, choreographed moves and humorous interactions with the audience provides a stunning show that no one will forget. Every item in the programme reveals a unique talent displayed in amazing individual and group performances with an exciting choreographed presentation. 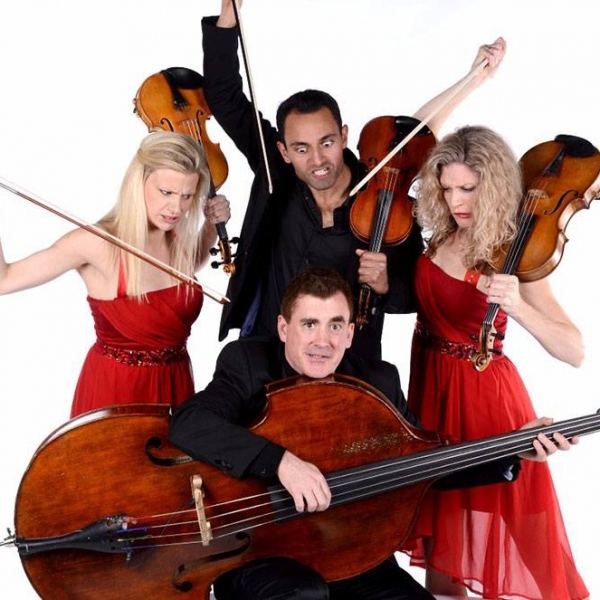 Comedy String Quartet was founded in 1997 by Cathal O'Duill. Whilst street-performing in Covent Garden (London) he realised that classical music could be made fun for any audience through interaction and comedy. The company has developed a unique antidote to the preconceptions of classical music as stuffy and elitist and succeeds in bringing it to anyone and everyone whatever their age. 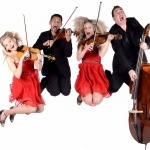 Comedy String Quartet have a large international following and in 2011 performed in Singapore, Malaysia, Vietnam, Tunisia, Sweden, Holland, Estonia, Spain, Italy, Norway, Denmark, Greece, Ireland, Scotland, Wales and England. 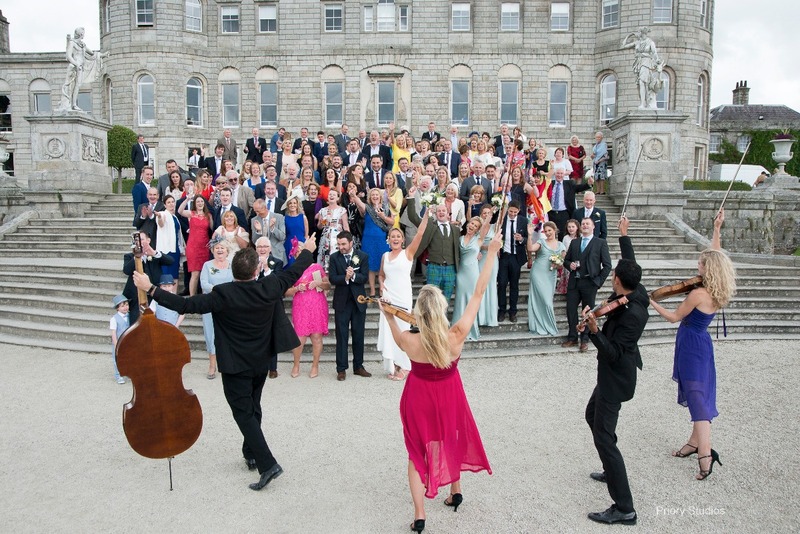 The group perform for a huge range of events, their varied work taking them from festivals, cruise-ships and concert halls to prisons, hospitals and schools; from weddings and parties to theatres and corporate events. 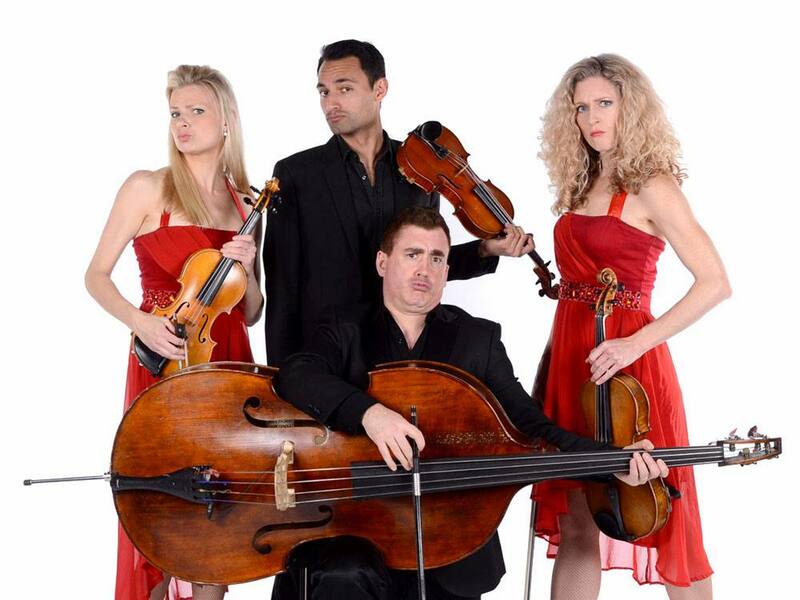 Comedy String Quartet are happy to perform a more traditional repertoire at your Wedding ceremony, followed by their outstanding comedy cabaret later on in the day! Please see performance times or speak to an Alive Network booking agent for more details. 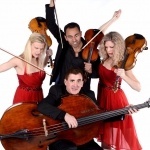 Add some musical comedy magic to your party celebrations with mix-and-mingle performances by professional string quartet musicians Comedy String Quartet. 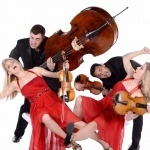 Weaving among your guests, Comedy String Quartet are trained in the art of playing classical music, gypsy-folk and performing stand-up comedy - sometimes all at once! Guaranteed to surprise and delight every party-goer as they work the room! 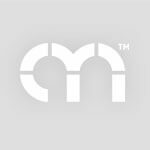 - Advertised prices are for Weddings & Private Parties. 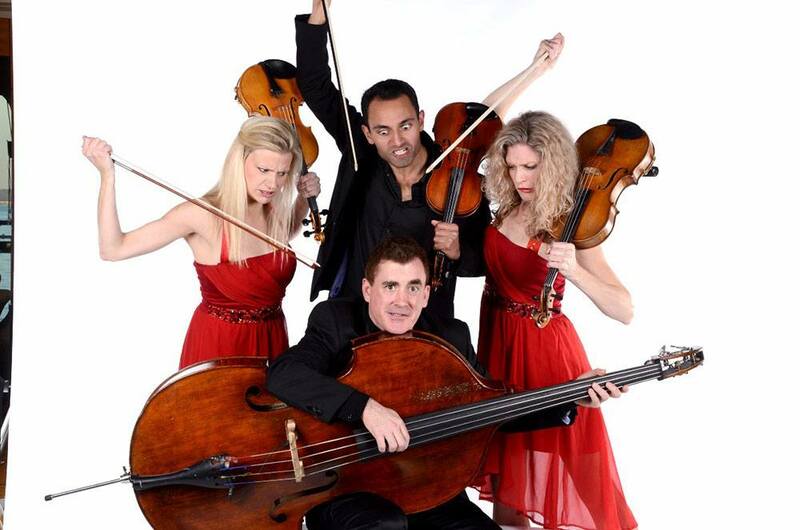 If you wish to hire the Comedy String Quartet for a Corporate Event, please see booking options. - The quartet's sound will carry acoustically to 100 people (and for vocals they carry their own radio mics) - over this number, they will require a PA system and Lighting, including 4 microphones & boom stands.